It’s another sunny day in La Mesa, California. 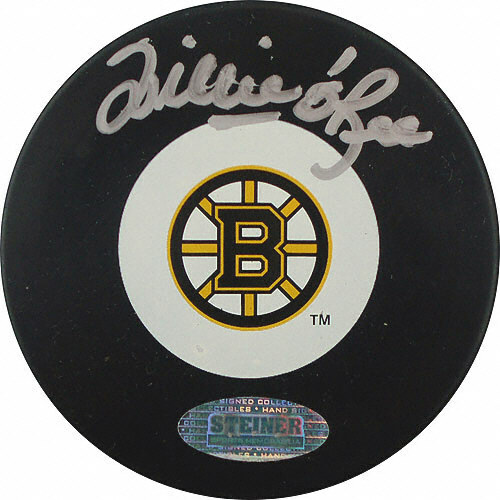 And another sunny day for hockey pioneer, Willie O’Ree. Just don’t call him that. “The temperature is probably going to reach around 90, 92 degrees,” he says, looking out his office window. O’Ree is getting ready for a trip to Washington DC: just another in a long journey for the spry 75 year old. But it’s all for a good cause. O’Ree and Kevin Weekes of NHL Network and Hockey Night in Canada fame, will join Washington’s own Neal Henderson of the Fort Dupont Ice Hockey Club, in attending the Congressional Black Caucus’ 41st annual meeting. This will mark the first time ever that the hockey community has had a formal presence at this annual affair. Joining them will be Ken Martin, VP of the Community Affairs for the NHL, who we met two weeks ago at the Warriors game. The CBC meeting is yet another facet to the League’s Hockey is for Everyone program. “We are proud to present these hockey legends and look forward to participating and exploring additional opportunities for more boys and girls of all backgrounds to play our great sport,” he said. 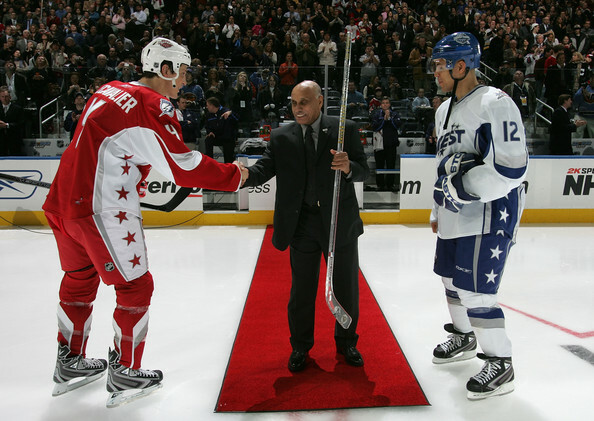 Willie O’Ree sees the future of hockey (which is ironic, which we’ll get to in a moment.) And for him, the future looks like the kids in Fredericton, and Detroit, and El Paso…and just about everywhere else he’s traveled. Hockey’s future, he says, looks a whole lot like 1958. But much, much more so. At least, so says the man who many call a ‘hero‘. At first, O’Ree has that ‘professionally modest’ tone that nearly every high-dollar player has adopted these days – usually on advice of agents. Yet it doesn’t take long to figure out that nobody coaches Willie O’Ree. He actually is what he’s said to be. And it’s disarming. “So many people have asked me about that before,” says O’Ree, graciously…without exaggeration. 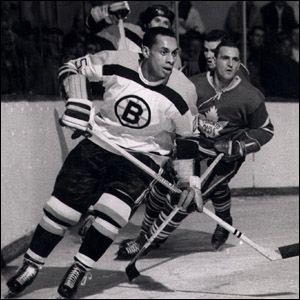 Ever since Jan. 18, 1958, when he was called up by the Bruins as a right winger – and became the first-ever black man to lace up for an NHL game – O’Ree has became a part of sports history. Team photo, "Colored Hockey Championships of the Maritimes", date unknown. 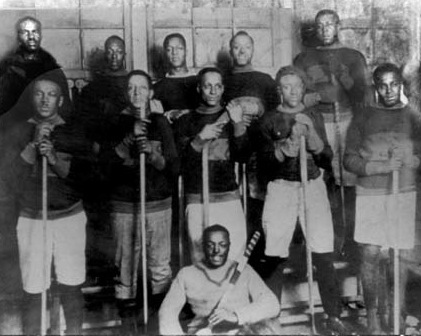 As for others before him, they were ably documented in Darril and George Fosty’s book “Black Ice” – a blazing document of the early Colored Hockey League of the early last century, and the innovations that gave us modern hockey. Still, there’s no doubting: Willie O’Ree was the first. And to this day, he’s humble about his place in the pantheon. Kind words from a man who’s learned to be so. Of the major professional sports leagues in North America, hockey – at least as measured by players – still remains the whitest. Currently just 29 NHL players can cite Africa as part of their heritage. O’Ree retired from the NHL in 1961, yet it took an unbelievable 16 more years before any other player could boast a similar claim. That player? Yeah, a Capital – Mike Marson, drafted by the upstart team in 1974. That’s not just an idle comment, but one from someone who knows the game from several angles: Kevin Weekes. Memorable between the pipes for a number of teams in the 90s – the Panthers, Canucks, Islanders Bolts, Canes, Rangers (boo! 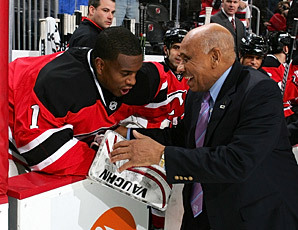 ), and ultimately the Devils – Weekes these days is perhaps just as recognizable as the first black man to host national TV coverage of the NHL, on the CBC and NHLN – not to mention his official role as “Ambassador of Hockey.” It’s a title that suits him. “Many of us were first generation North Americans. You don’t play hockey in Trinidad or Barbados.” But exactly for that reason the question rises: can hockey grow? Really grow, to warm-side towns and country-sides where pickup soccer and baseball have reigned? “If the White House isn’t a great indicator of time and evolution, I don’t know what would be,” says Weekes, who fondly recalls a chat with First Lady Michele Obama. To be clear: there’s a great display of talent in the NHL of players of African lineage. Among the hottest: Jarome Iginla, Kyle Okposo, Shawn Belle, giant Paul “BizNasty” Bissonnette, Evander Kane, Dustin Byfuglien and our new Cap winger, Joel Ward. And as Weekes notes – that’s just the surface. It’s a tough role to be a role model, let alone a ‘hero’. Just ‘google’ Kevin Weekes – let alone Willie O’Ree – and see what comes up. “It gives me goosebumps, just thinking about it,” says Weekes. He, O’Ree, and dozens of other players have had to lumber under that mantle for years now. Too many years. Which is why both Weekes and O’Ree look sunnily to their trip to DC. In part, to do their bit for the NHL. And in part, to come pay tribute to someone who’s actually been doing what they talk about for years – without all the media attention. Which brings us back to Will O’Ree, and vision. Unknown at the time he was drafted, O’Ree only had vision in one eye – his right retina nearly destroyed by an errant puck. A left-winger, with no right eye vision? Perhaps as unlikely as a black player in 1958. “I like to say that Willie O’Ree lost his vision, but was always a visionary,” says Weekes. It’s a line O’Ree has heard before, and embraces. Our time done, Willie O’Ree has other matters to attend to ahead of his trip to DC. It’s not easy being a hero. Perhaps that’s why he so looks forward to the day when a player of African, or Caribbean, or another minority is noted for their play – not for their ancestry. For O’Ree, hockey’s future is a bright, sunny place. “Enjoy the day,” he says. This entry was posted in Uncategorized and tagged heroes, men we want to be like, NHL. Bookmark the permalink. i met willie o’ree when he played for the gulls in the old WHL..